Why Does Natalie Portman’s New Film Open With a School Shooting? All that plus Jude Law? Yes, please! I barely Googled anything about it; I don’t like reading film reviews before seeing the movie myself. But I did watch the trailer. It seemed like a really interesting portrait of a pop star who had been affected by tragedy. Mostly, what I knew about Vox Lux was that it starred Portman — and that was enough for me. We don’t quite know what to expect. The scene changes to classroom, with a tight focus on the teacher (Maria Dizzia), welcoming her students back from winter break. There’s chatter, and the viewer is put at ease. She says she has an announcement, but wants to wait until everyone arrives. Then, a student arrives in the doorway, and Dizzia greets him. Her tone changes. And she gets shot. The classroom panics. The camera then moves to the shooter, and it only gets more violent from there. My heart is pounding just thinking about it, to be honest. But I respectfully disagree. I’m here to warn you, and to tell that the violent images will stick in your mind for a long time after the credits roll. 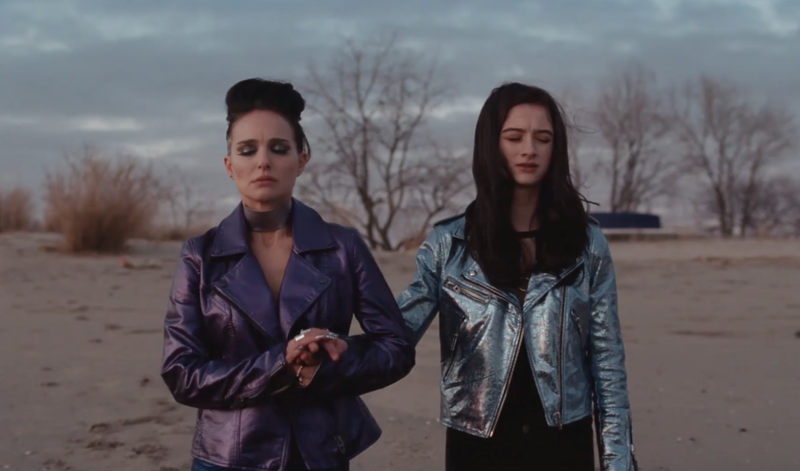 If you watch the trailer, Vox Lux seems to be a film about Portman playing an over-the-top, provocative pop star who rose to fame when she was maybe too young, and who now does a lot of drugs and has a daughter who worries about her. The preview ever-so-briefly alludes to a violent event (there’s brief images of cops, people crying with candles, a car on fire, and a boy with a gun, but only if you’re looking for them), but in no way does it indicate how a school shooting forms the emotional core of the movie. Because here’s the thing: I would never seek out a reenactment of a school shooting as entertainment. And this isn’t because I don’t care deeply about this tragic, ongoing issue — it’s precisely the opposite, in fact: I recognize that mass shootings already form an emotional core of our society. In 2018 alone, 13,419 people have died from gun violence in the United States. There have been 325 mass shootings, 65 of which have occurred on school campuses. And for him, that means putting the viewer in the classroom during unfathomable violence. “I think any time you’re portraying acts of violence on-screen, it can be argued that they immediately become iconic. I was mostly focused on doing something that was quite banal,” Corbert told Vanity Fair. But are school shootings so banal now that we can include them in films without flinching? Maybe I’m an emotional person (I cried watching Mamma Mia! Here We Go Again on opening night), and maybe I get nightmares too easily, but the opening scene shocked me to my core. And maybe that was the point, maybe we really had to understand the origins of future superstar Celeste we had to see her survive this horrific tragedy. But did we really need to see it all? Which, yes, OK. Maybe had I gone in knowing the movie begins with a shooting — had I been prepared for the violence — I would have different feelings. In fact, I probably would have stayed home.